it all starts here, on the farm. 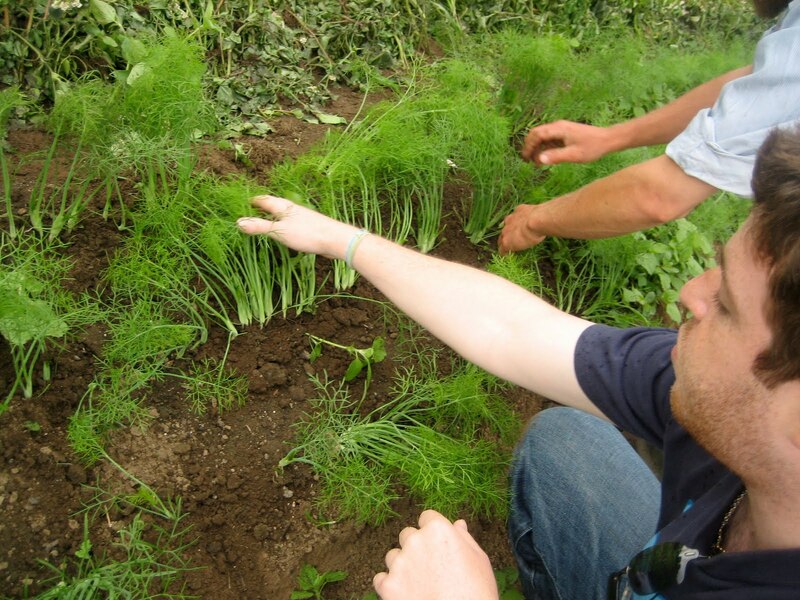 Although this beautiful bed is coming in nicely, Zach explained that constant weeding is necessary to ensure that each fennel plant has access to as many nutrients as it can absorb from the soil...sharing is not part of the plan. If it's not looking familiar, that may be because these young plants are only a few weeks old and do not resemble the larger more mature stalks. These little ones actually have a ton of flavor when eaten raw, right from the ground. Fennel is a member of the Apiaceae family and like its brother, carrot, fennel has a long taproot, which grows deep underground. This taproot can be used to sprout a new fennel plant even if the rest has been severed. This makes fennel a difficult weed to contend with when not intentionally being planted. What shocked me the most, was finding out just how big this little plant would grow. Living in Manhattan, spending most of life eating food prepared in a kitchen I never get to see (which may be for the best from what I've heard), my introduction to these vegetables has an increased impact, like a child seeing fireworks for the first time. I have no idea what's going on or how it's happening, but everything is fascinating and unusual. I had no idea that in a few months, these rows of small fennel plants will be overwhelmed by big beautiful fennel bulbs, like this one. I couldn't help myself, so I head to the nearest market to see just how big the bulbs would get. Just look at the depth of this thing, its enormous. Fennel is a diverse vegetable with many uses in the kitchen. It can be eaten raw, as a vegetable alone, or in salads. It can also be sauteed or even used as an herb and/or garnish when cooking, to add a bit of flavor. Fennel seeds are also quite popular. Fennel seeds are obtained once the green, feathery, fennel leaves flower. Patience is key because if harvested too early, the fennel seeds will not form. The seeds are often used in teas acting almost as a natural Pepto-Bismal, which helps with nausea and digestion. 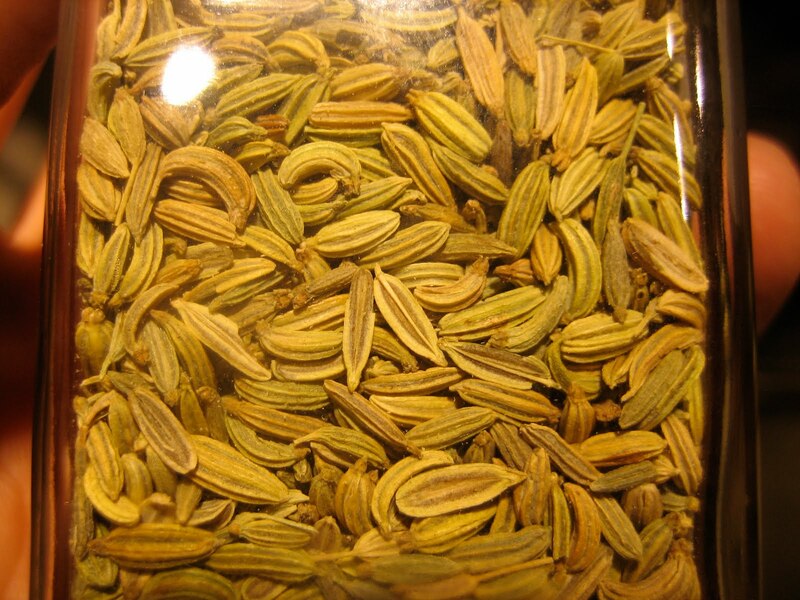 Fennel can be used to help with detoxification of the liver as well. Even if you haven't been a fennel fan in the past, keep your eyes open for some some fresh local fennel at a nearby farmers' market and give it one more try. You'd be surprised how different locally grown foods can taste from the standard supermarket fare, which may be shipped from halfway across the globe. Click here to check out how Randall Dodge of Red Barn bakery has been using local fennel.